An Act to provide for the constitution and regulation of an armed force of the Union for providing proximate security to the Prime Minister of India and the 1[former Prime Ministers of India and members of their immediate families] and for matters connected therewith. This Act may be called the Special Protection Group Act, 1988. It shall come into force on such date2 as the Central Government may, by notification in the Official Gazette, appoint. all words and expressions used and not defined in this Act but defined in the Indian Penal Code (45 of 1860) shall have the meanings respectively assigned to them in that Code. Members subject to this Act: Every member of the Group shall be subject to this Act, wherever he may be. Subject to the provisions of this Act, the Group shall be constituted in such manner as may be prescribed and the terms and conditions of service of the members of the Group shall be such as may be prescribed. Notwithstanding anything contained in this section, any person or any member of any other armed force of the Union may be appointed to the Group by the Central Government by a general or special order and for such period as may be specified in such order, and the person so appointed shall, during the period of his appointment, be deemed to be a member of the Group, and the provisions of this Act shall, so far as may be, apply to such person or member. The general superintendence, direction and control of the Group shall vest in, and be exercised by, the Central Government and subject thereto and to the provisions of this Act and the rules, the command and supervision of the Group shall vest in an officer to be appointed by the Central Government as the Director of the Group. The Director shall, in the discharge of his duties under this Act, be assisted by such number of 6[Inspectors General, Deputy Inspectors General, Assistant Inspectors General] and other officers as may be appointed by the Central Government. Liability for service in and outside India: Every member of the Group shall be liable to serve in any part of India as well as outside India. Members of the Group always on active duty: Every member of the Group, not on leave or under suspension, shall, for all purposes of this Act, be always on active duty and may at any time be employed or deployed in any manner which is consistent with the duties and responsibilities of the Group under this Act. except with the previous permission in writing of the prescribed authority. Tenure of service: Every member of the Group shall hold office during the pleasure of the President. communicate with the press or publish or cause to be published any book, letter or other document except where such communication or publication is in the bona fide discharge of his duties or is of a purely literary, artistic or scientific character or is of a prescribed nature. Explanation.—If any question arises as to whether any society, institution, association or organisation is of a purely social, recreational or religious nature under clause (b) or whether any book, letter or document is a communication or publication in the bona fide discharge of his duties or is a purely literary, artistic or scientific character or is of a prescribed nature under clause (c), the decision of the Central Government thereon shall be final. No member of the Group shall participate in, or address, any meeting or take part in any demonstration organised by any body of persons for any political purposes or for such other purposes as may be prescribed. Termination of service: The prescribed authority may, by order in writing, terminate the appointment of any member of the Group in the public interest and such termination shall be deemed to be discharged simpliciter and shall not amount to dismissal or removal. Any member of the Group aggrieved by an order under section 11 may, within thirty days from the date of such order, prefer an appeal to a Board to be constituted by the Central Government. The Board shall consist of such persons as may be prescribed. The decision of the Board shall be final and shall not be called in question in any court or tribunal. The Board shall have power to regulate its own procedure. Powers and duties conferable on members of the Group: The Central Government may, by general or special order published in the Official Gazette, direct that, subject to such conditions and limitations as may be specified in that order, any member of the Group may exercise or discharge such powers or duties as may be specified in the said order for giving effect to the provisions of this Act. Assistance to Group:It shall be the duty of every Ministry and Department of the Central Government or the State Government or the Union territory Administration, every Indian Mission, every local or other authority or every civil or military authority to act in aid of the Director or any member of the Group whenever called upon to do so in furtherance of the duties and responsibilities assigned to such Director or member. Protection of action taken under this Act: No suit, prosecution or other legal proceeding shall lie against the Group or any member thereof on whom powers have been conferred or duties have been imposed under this Act, or any order issued or any rule made thereunder for anything which is in good faith done or purported to be done or omitted to be done in pursuance of this Act or any order issued or any rule made thereunder or any order issued under any such rule. Laying of orders and rules: Every order issued under section 13 and every rule made under section 16 shall be laid, as soon as may be after it is issued or made, before each House of Parliament while it is in session for a total period of thirty days which may be comprised in one session or in two or more successive sessions, and if, before the expiry of the session immediately following the session or the successive sessions aforesaid, both Houses agree in making any modification in the order or the rule or both Houses agree that the order or rule should not be made, the order or rule shall thereafter have effect only in such modified form or be of no effect, as the case may be; so, however, that any such modification or annulment shall be without prejudice to the validity of anything previously done under that order or rule. The Special Protection Group in existence at the commencement of this Act shall be deemed to be the Group constituted under this Act. The members of the Special Protection Group in existence at the commencement of this Act shall be deemed to have been appointed as such under this Act. 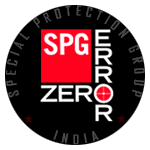 Anything done or any action taken before the commencement of this Act in relation to the constitution of the Special Protection Group referred to in sub-section (1) and in relation to any person appointed, shall be as valid and as effective in law as if such thing or action was done or taken under this Act. Subs. by Act 48 of 1991, s. 2, for “members of his immediate family” (w.e.f. 25-9-1991). 1st August, 1988, vide notification No. S.O. 735(E), dated 1st August, 1988, See Gazette of India, Extraordinary, Part II, sec. 3(ii). Subs. by Act 48 of 1991, s. 3, for “his immediate family” (w.e.f. 25-9-1991). Subs. by Act 35 of 1999, s. 2, for sub-section (1) (w.e.f. 18-11-1999). Subs. by Act 20 of 2003, s. 3, for “Deputy Directors, Assistant Directors, Joint Assistant Directors” (w.e.f. 13-3-2003).